These cork bulletin boards are great for organizing personal work areas and can be used as information boards within high traffic areas around the workplace. They're made of self-healing natural cork, so pin holes won't show and the backing resists moisture, absorption, and warping. A mounting kit is included and boards last for years. 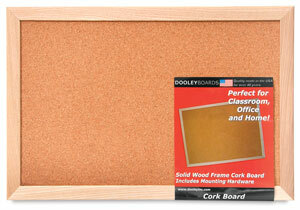 Natural Cork/Dry Erase Board — Get the best of both worlds in one board! 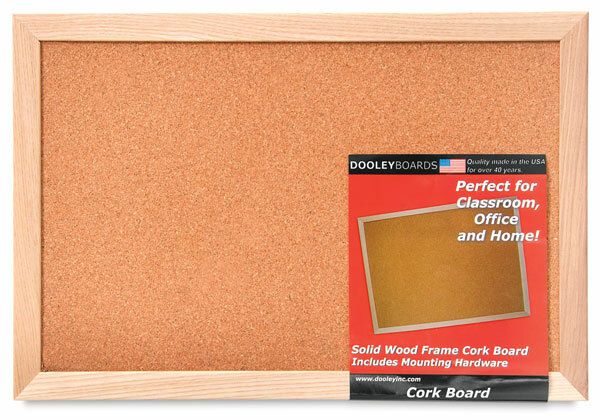 DooleyBoards Combo Cork/Dry Erase Boards feature self-healing natural cork on one side, a white dry erase surface on the other, so you can write notes, make lists, draw pictures, and pin messages— all in one place.